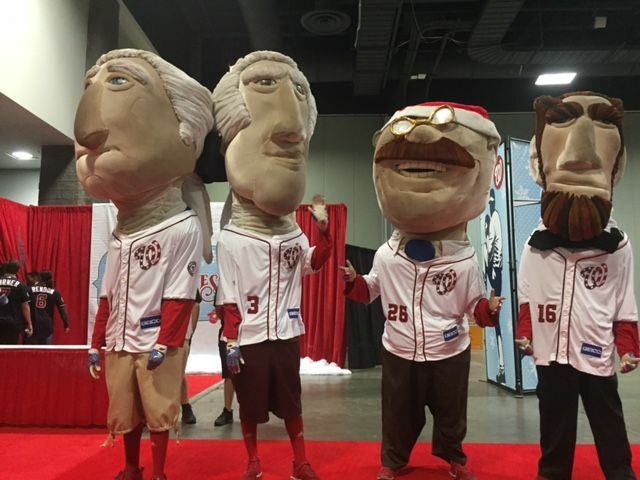 People auditioning to be the next Racing Presidents for the Washington Nationals ran and danced while balancing large, heavy presidential costume heads on their shoulders Sunday. See photos and video. 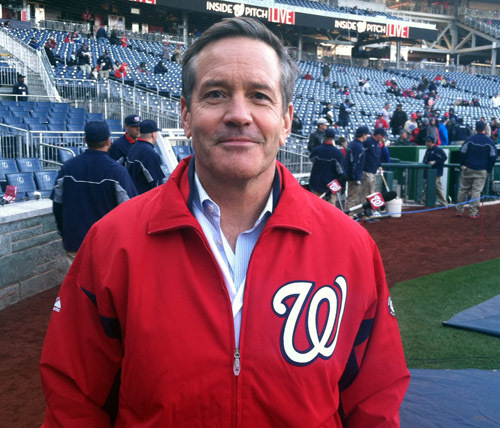 If you’ve ever wanted to run for office — well, sorta — here’s your chance. 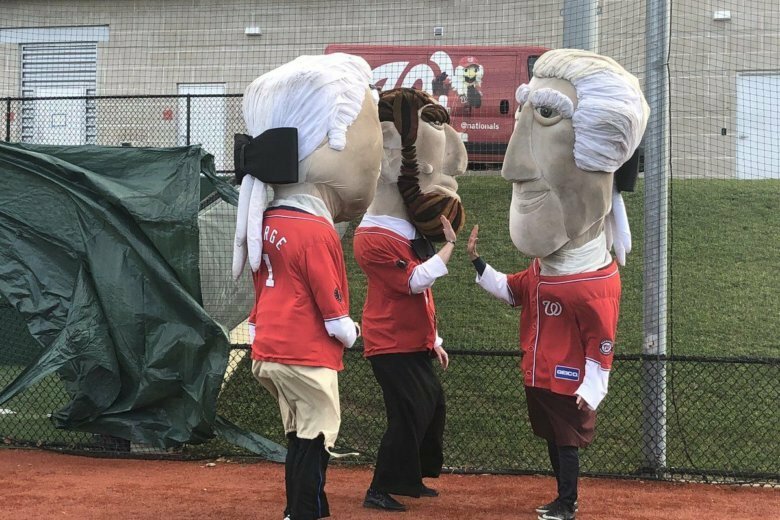 The Washington Nationals are looking for new recruits to join the ranks of the team’s famous “racing presidents” mascots. 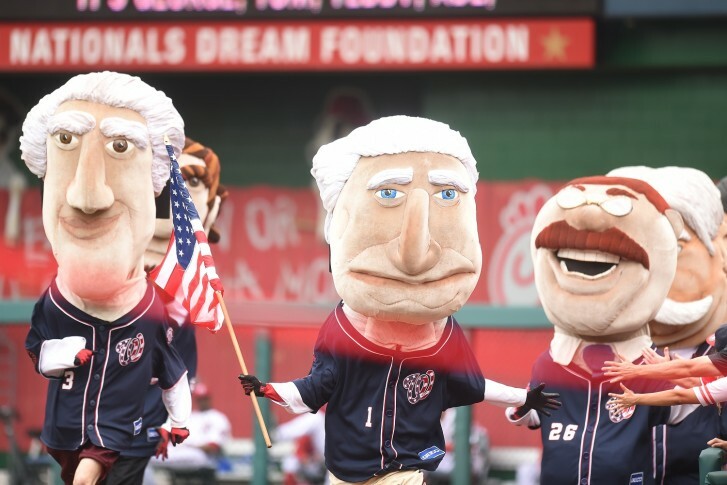 Wednesday is the deadline to apply online to become one of the Washington Nationals’ Racing Presidents. 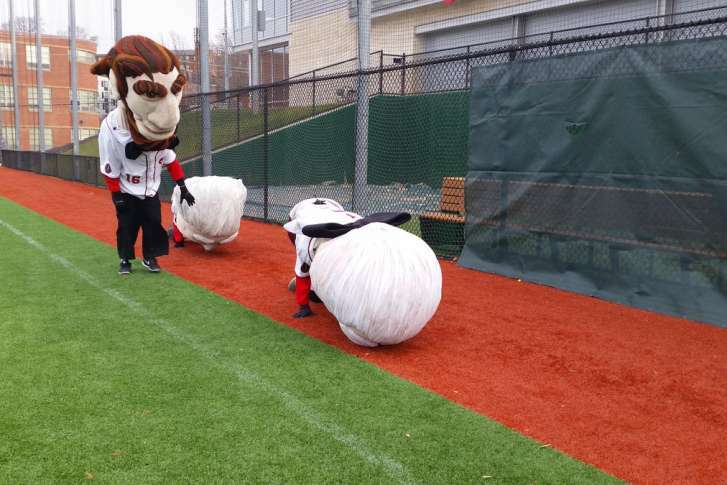 The in-person tryouts happen Sunday. 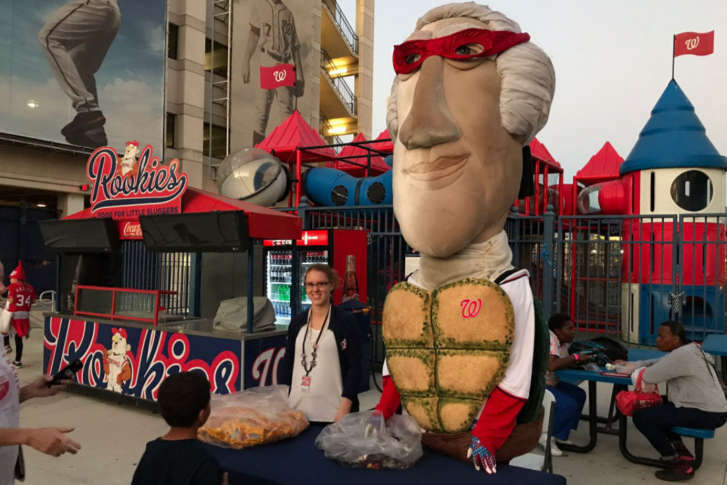 Just a few days before taking on the Cubs in the National League Divisional Series, the Washington Nationals held a “Haunted Pep Rally” at Nationals Park. 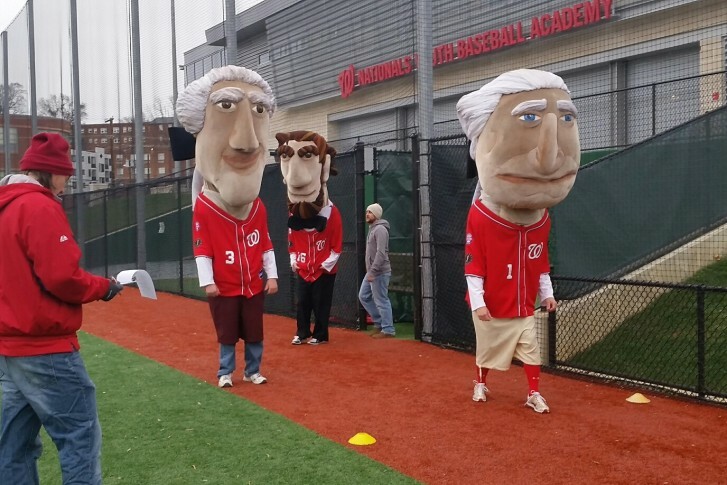 On Sunday morning, the Washington Nationals held tryouts for the next George, Tom, Abe, Teddy and Bill — you know, the presidential celebrities with the really big heads. 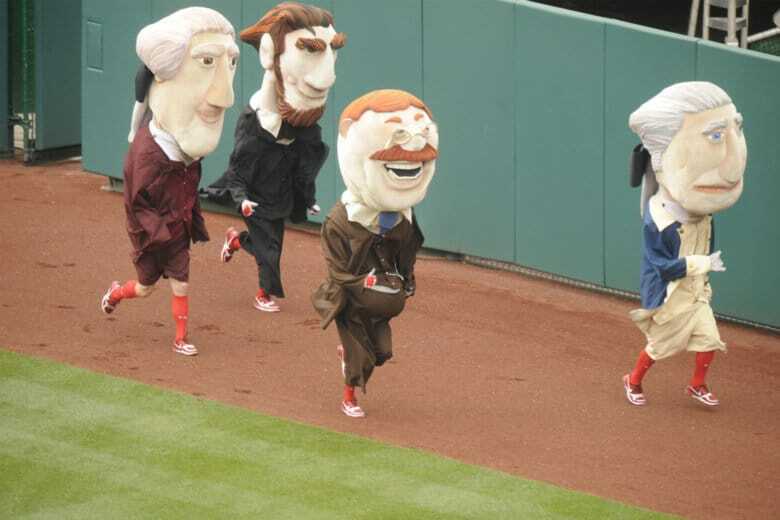 Select candidates hoping to serve as George, Tom, Abe, Teddy and Bill have been invited to throw their ballcaps into the ring for a final audition. Racing FDR: Disaster or opportunity? 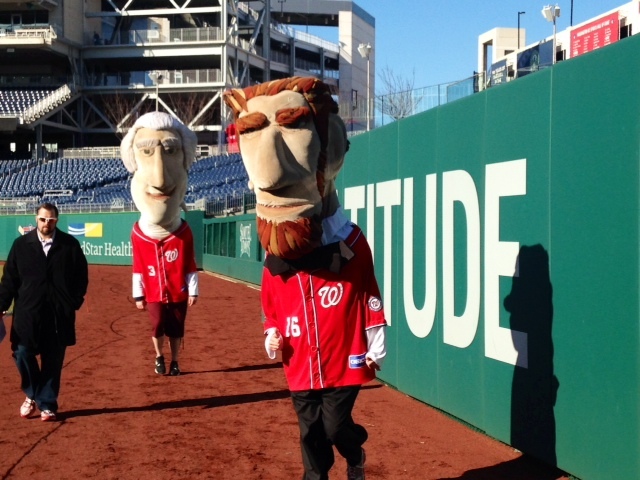 The Washington Nationals’ Racing Presidents are among the most well-known mascots in professional sports today. If they continue to follow their current trend, Franklin Delano Roosevelt would join the gang in 2017. Given that FDR spent most of his adult life using a wheelchair, would a Racing FDR be a disaster or a chance to change minds about people with disabilities? 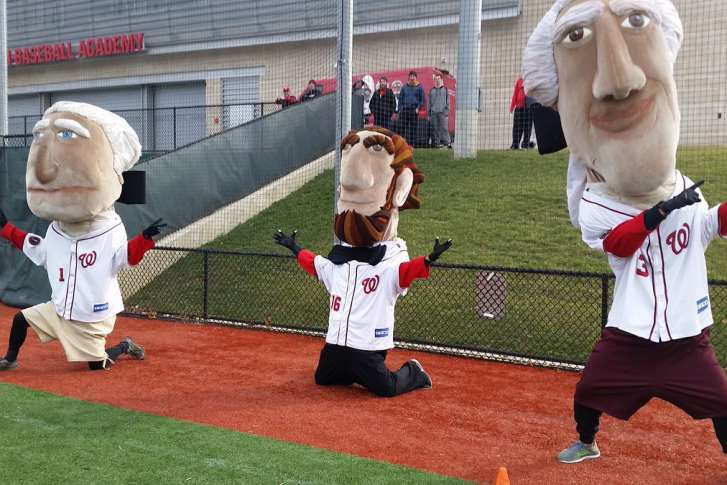 The Washington Nationals hosted tryouts for the Racing Presidents on Sunday. all, the presidents say so. 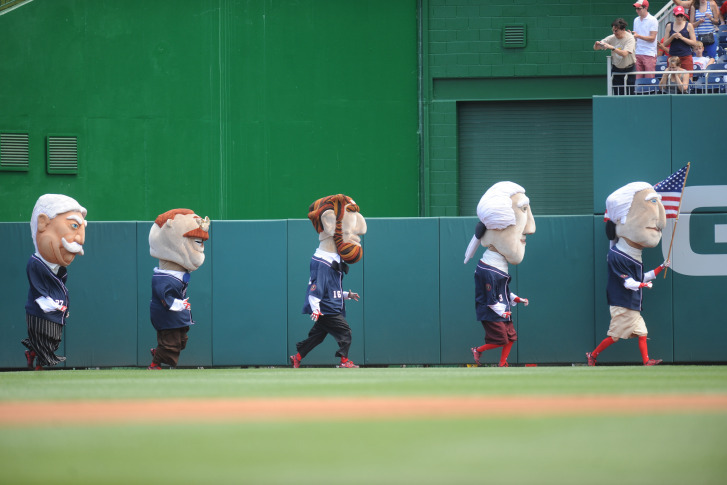 It\’s presidents versus pierogies at Nationals Park this week as the mascots face off in yet another race. 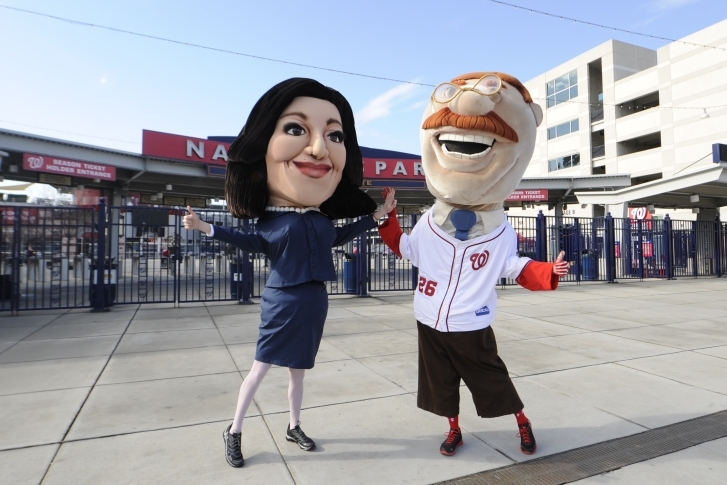 The Nationals\’ Racing Presidents face a new challenger from the West Wing — sort of. 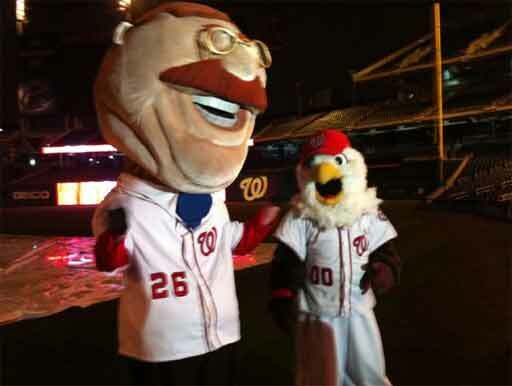 Nationals fans know the names Harper and Strasburg, but Wednesday night the spotlight was on a guy named Taft.